The coffee - single origin Arabica coffee beans from Ethiopia, Brazil and Papua New Guinea are chosen for their distinctive flavours to create a house blend. Low and slow - cold extraction produced a full-flavoured coffee without the acidity and eye-squinting bitterness of an espresso. Cold press - a basket press is used to extract the rich liquid from inside the coffee infusion. Time consuming, yes, but worth every minute. Coffee over spirit - the cold press coffee is blended with pure Australian grain spirit, which allows the rich flavour of the coffee blend to shine through. 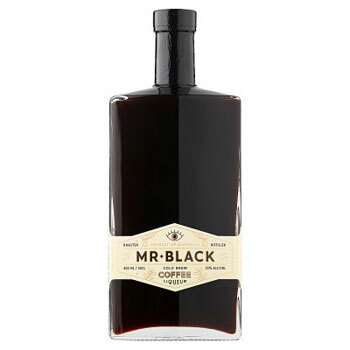 Every process in the making of Mr Black is handled at the tiny distillery on the central coast of Australia; from the sourcing of the coffee beans to the grinding of the coffee and the bottling of Mr Black (300 bottles at a time). This process, laid down by Tom and Philip, ensures that they are producing the best tasting Mr Black day in, day out.